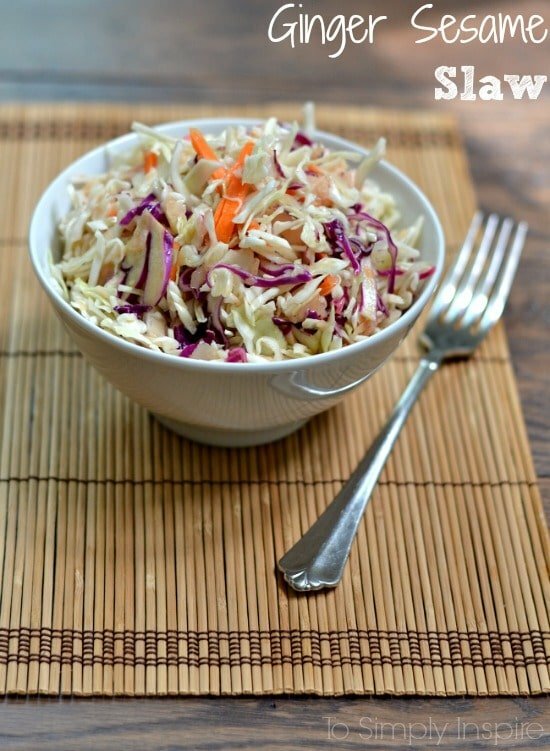 This Ginger Sesame Slaw has exquisite taste. Made with just 4 simple ingredients, it’s wonderful along side grilled chicken. 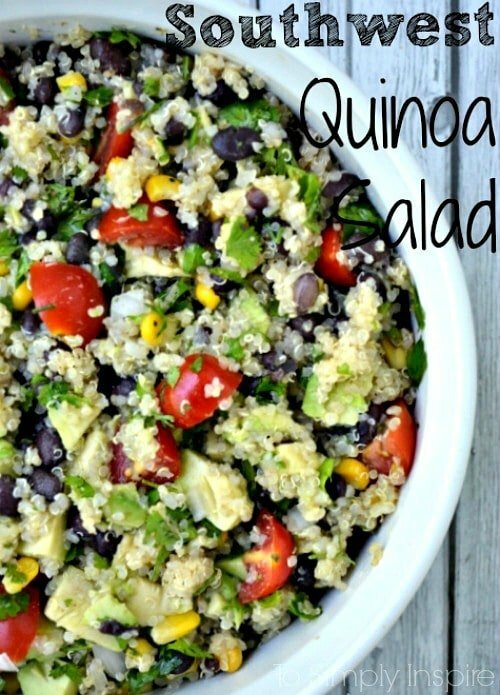 If you are like me, there is nothing better than a fabulous recipe that is so extremely simple and quick and healthy. 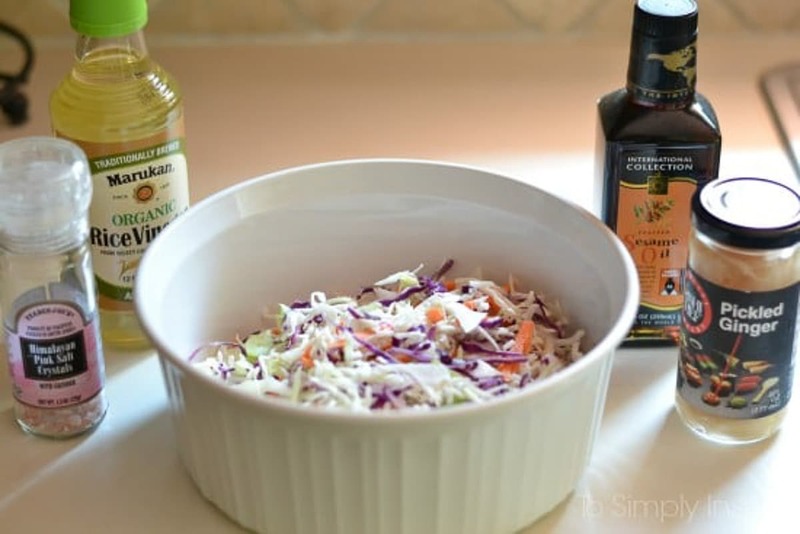 This Ginger Sesame Slaw is one of those and has that “something special” taste. The combination of ginger, toasted sesame oil and rice vinegar really lights up your taste buds. Let’s talk about ginger for a second. This recipe uses the pickled ginger that you eat along side of sushi. My mouth just watered a little thinking about my favorite avocado rolls with the perfect little sliver of ginger on top. It’s so delish!! Does anyone else share the feeling? I just chopped up about 1/3 of a cup of the pickled ginger to add in with the oil and vinegar. You can also add sliced scallions if you’d like too. 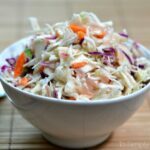 I grilled this yummy Soy-Lime-Garlic Marinated Chicken Tenders and served this slaw along side of it for another perfect easy healthy dinner!! 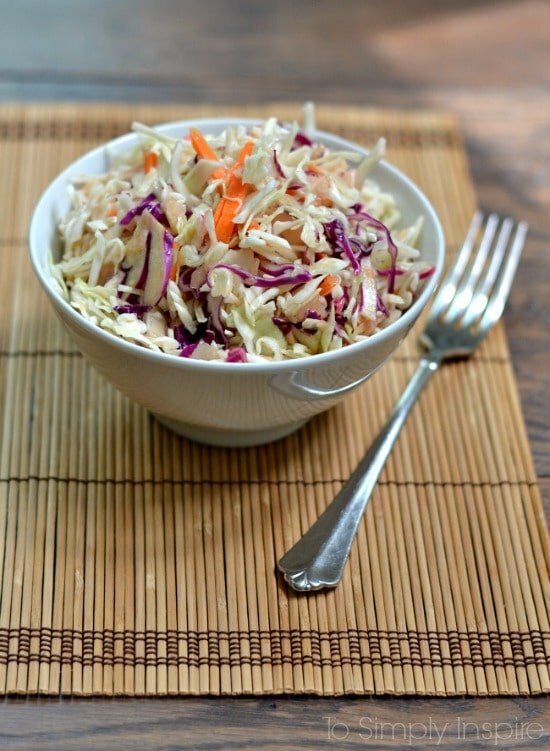 This Ginger Sesame Slaw has exquisite taste. Made with just 4 simple ingredients, it's wonderful along side grilled chicken. 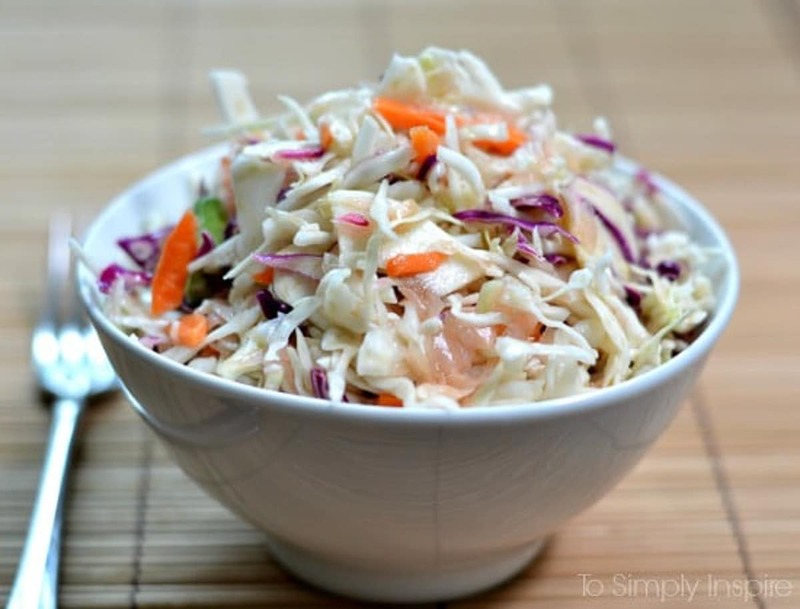 Am I only the second one person who has actually made this slaw to review it? 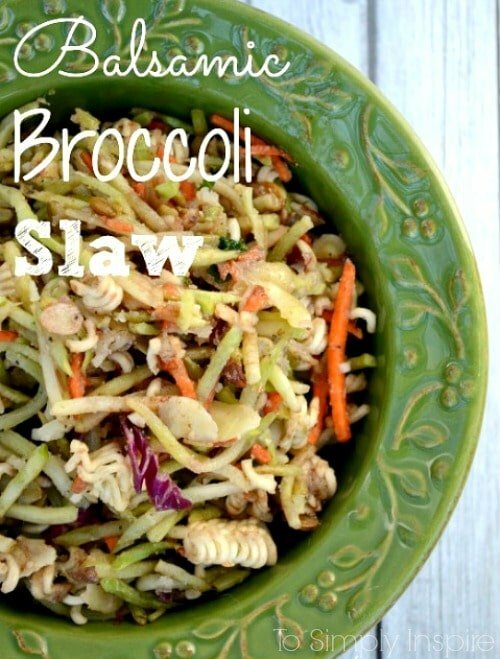 If you like slaw and you like pickled ginger, this is delicious. We served with Asian Style Ribs. 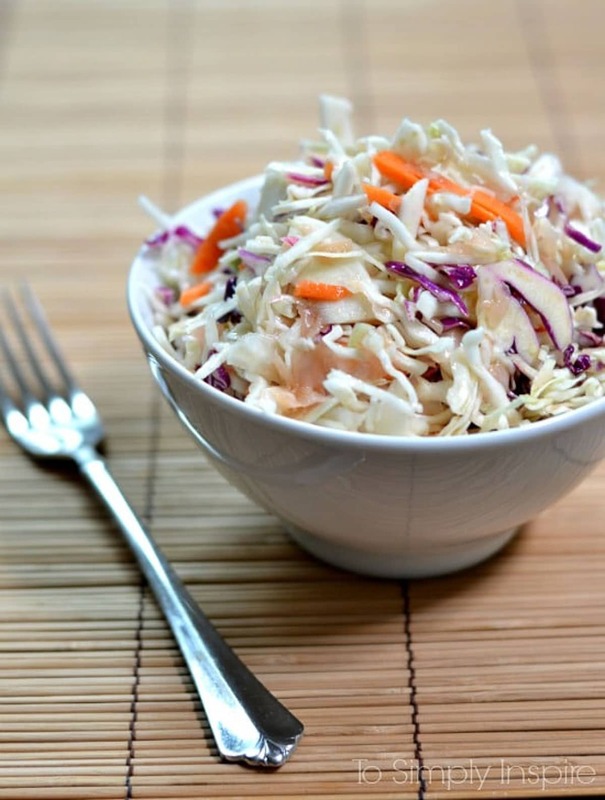 Love that you have included ginger in this slaw recipe. Thanks for linking up to Saturday Sparks. You have been featured today. 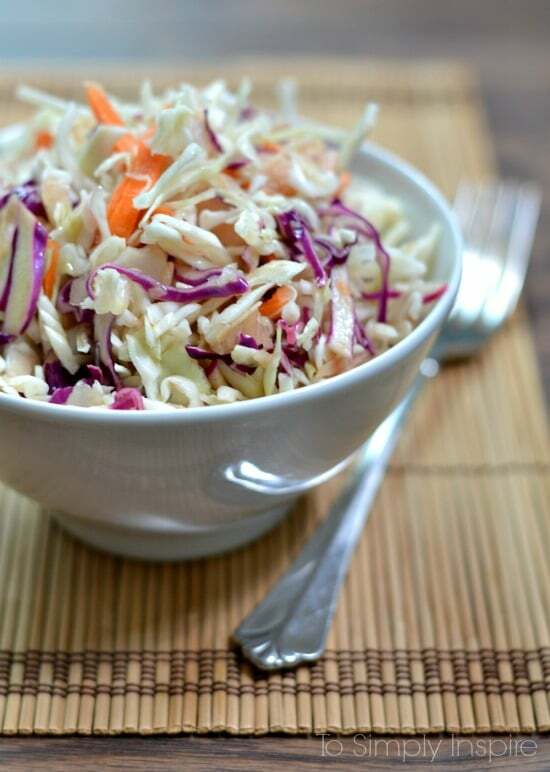 That coleslaw looks amazing and so healthy too. Thanks so much for sharing your recipe at the #sundaysdownunder link up! I’ve pinned this and shared on social media. Best wishes and hope to see you again tomorrow! I saw you featured on Tasty Tuesday – Congrats! What a beautiful salad! I bet it tastes good too, I love rice vinegar and sesame oil. Thank you so much Margaret!! It’s now one of my favorites! This sounds super yummy! Thanks for sharing the recipe with SYC. Hi Sherri, Thanks for sharing at the Inspiration Spotlight party! Pinned & Shared. Hope to see you again soon. My kind of salad. Simple and delicious. Thanks for sharing at Thursday Favorite Things! oh that looks divine. I have printed it out and added to my grocery list! Thanks. Those are some of my favorite flavors! Thanks for the inspiration. This looks so delicious! Pinning, thanks for sharing! I have a lot of cabbage in the garden now. This looks like a great use for it!